Overhead Door Corporation pioneered the upward-acting door industry when we invented the first electric door opener in 1926. We continue to be the best source in the Louisville KY area for garage door openers for your home or business property. We are committed to offering products and services that provide safety, security, and convenience to satisfy our customers’ needs. That's why design and construction professionals specify Overhead Door Corporation products more often than any other brand. See what we can offer for your residential or commercial garage spaces today! The Odyssey® 1000 residential opener is available with either a belt or chain drive. 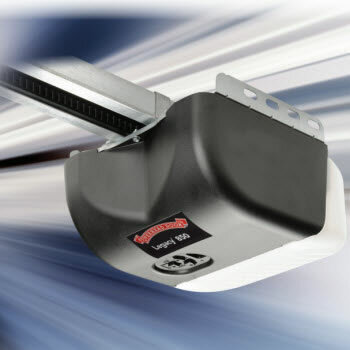 Its motor delivers all the power and speed needed to operate almost any garage door quickly. 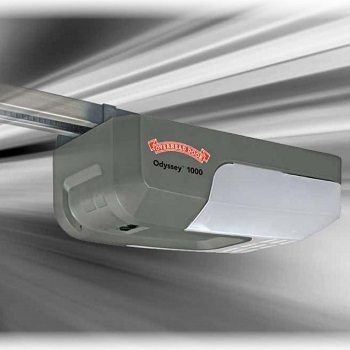 The Legacy® 850 garage door opener provides power, reliability and convenience with the choice of belt or chain drive. This durable 1/2 HPc* Power Plus motor operates most residential sectional garage doors weighing up to 500 lbs. The DC motor technology used in the design of this motor along with the C-channel rail deliver quiet operation. 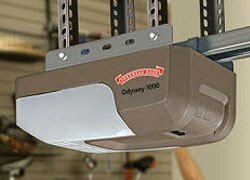 This garage door opener includes a CodeDodger® remote control.